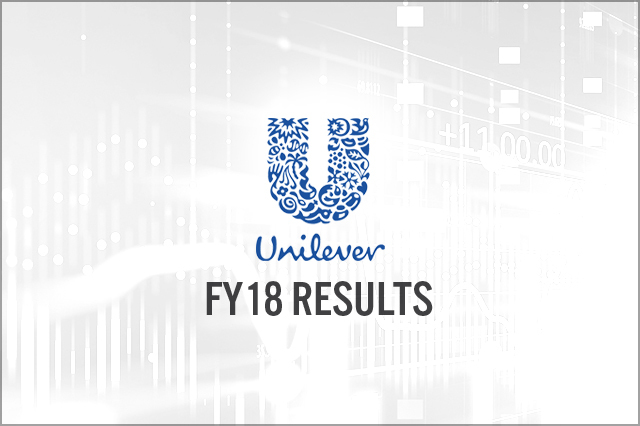 Unilever reported FY18 revenue of €50.98 billion, slightly behind consensus of €51.06 billion and down 5.1% from FY17. FY18 revenue in all segments experienced declines year over year, with the foods and refreshment segment down the most at 9.9%. FY18 revenue also declined across regions, with the Americas region down the most at 8.6%.